To learn more about the couple or to donate directly to Hope and Steve, click on their logo. Hope For Steve "Hope For Steve" is a feature documentary about the triumphant love story of two people, Hope and Steve Dezember, who continue to battle against Steve’s ALS (Lou Gehrig’s Disease). 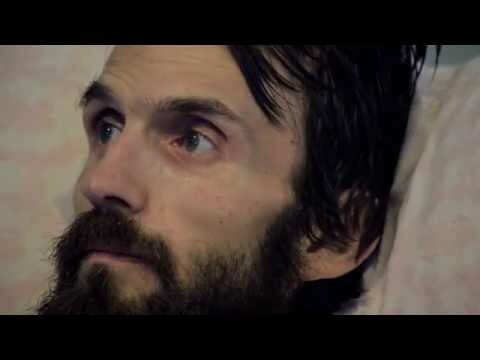 The film follows the couple from the initial diagnosis through their first two years of marriage, chronicling the unimaginable challenges of ALS contrasted by their unrelenting spirit and thirst for adventure despite Steve’s ever-declining health. Their journey, struggles, beliefs and desire to spread awareness about the disease are followed over two-and-a-half years in this film. After dating for only four months, Steve was diagnosed with the fatal disease ALS, a rapidly debilitating and terminal motor neuron disease. Steve, Hope and Steve’s family learned that ALS progressively robs those affected by causing muscle weakness, paralysis and, ultimately, respiratory failure. The average lifespan after diagnosis is two to five years. Two days after receiving his diagnosis, Steve proposed to his then-girlfriend. “I know this is going to be really hard, and if you leave I understand. But if you stay, will you marry me?” She said yes, and her name is Hope. They married October 15, 2011 while Steve could still walk down the aisle and dance with his beautiful wife. It was a magical day shared with close family and friends. Immediately Hope and Steve set out on a journey of a lifetime, traveling to Belize and across the United States. It was their journey across country, combined with their rapidly growing social media following that allowed them to meet and befriend musicians and artists such as Dave Matthews, Michael Franti, Gareth Asher and Jeremy Brown. As word grew of their story, Steve and Hope felt compelled to share their highs and lows, constantly redefining the phrase, “live life to the fullest”. The sacrifices made by the couple and their refusal to let ALS stop them from living their lives is a testament to true love — a love that inspires, excites, and offers hope in the midst of a terminal prognosis. “HOPE For Steve” is a story that helps spread awareness about the need for research to combat this crippling disease. It is the story of two warriors fighting ALS together with the one thing not even a terminal disease can take away; self-less, honest and inspiring love, which pushes them to champion on together.